Here at Every Day is an Occasion I like to share ways to have fun every single day. 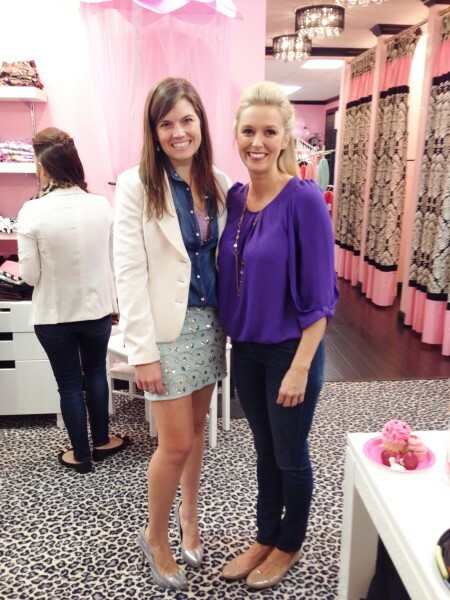 Flourish Boutique made it easy for me yesterday by having their Grand Opening in their new brick and mortar location. They just moved out of an older farm house that they had transformed into a GORGEOUS boutique (which they were in for about 5 years)! So, when I found out that they were moving I questioned what the new store would look like. How can you get any better than pink painted wooden floors and sparkly pink parking lines?! I mean really! lol! But the owner, Vanessa, did it! The new store is ABSOLUTELY gorgeous!! To be honest, I never had any doubts, she is quite an amazing designer and business owner. One to look up to for sure!! So are you ready to get a peek? If you follow me on Instagram you may recognize a few of these photos. See I told you! Simply GORGEOUS!! This is the sight you see when you walk in! This photo was actually taken before the official grand opening, but I wanted to show you how beautiful the entrance is when you walk in. 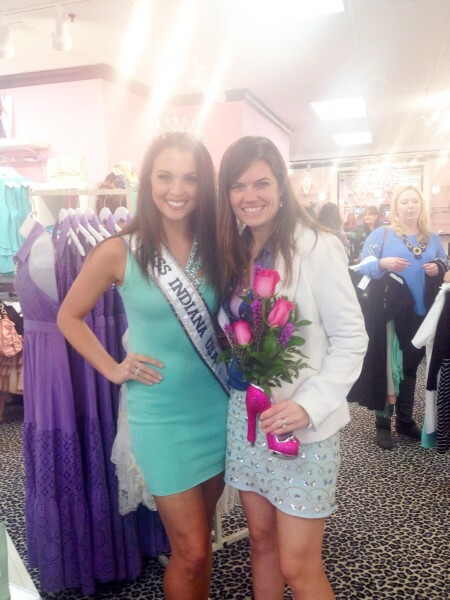 On the night of the Grand Opening, Flourish invited Miss Indiana to come and greet guests. Let me tell you, she is one AMAZING woman! I simply adore her!OH and those flowers I’m holding are for Vanessa, the store owner. I brought them for her to congratulate her on the new store. Look very closely at them though…do you see it? Yes, it’s a shoe vase! The flowers are in a pink shoe vase! I couldn’t stand it, I had to get them for her. Ok, back to the story… As I was talking to Miss Indiana, one of the employees at Flourish came up and asked me if I would be interested in modeling for their fashion show, one of their models dropped out last minute and they needed a fill in. So, feeling very honored I accepted. Then all of a sudden I got a rush of, “What? Did that just happen? I’ve never been in a fashion show before, how am I going to do this? How do I even pose?” Then I channeled my inner- Tyra Banks and all the episodes of Americas Next Top Model and put my model face on! lol! I didn’t have to walk down the side of a building or walk on a spinning runway (did you see that episode of ANTM? what?! ), but I did get my pictures taken in each outfit. I have NO CLUE how the pictures turned out or even if they can use them, but let me tell you IT WAS FUN!! I got to walk through the store and stand in the window display like a mannequin. It was so cool. 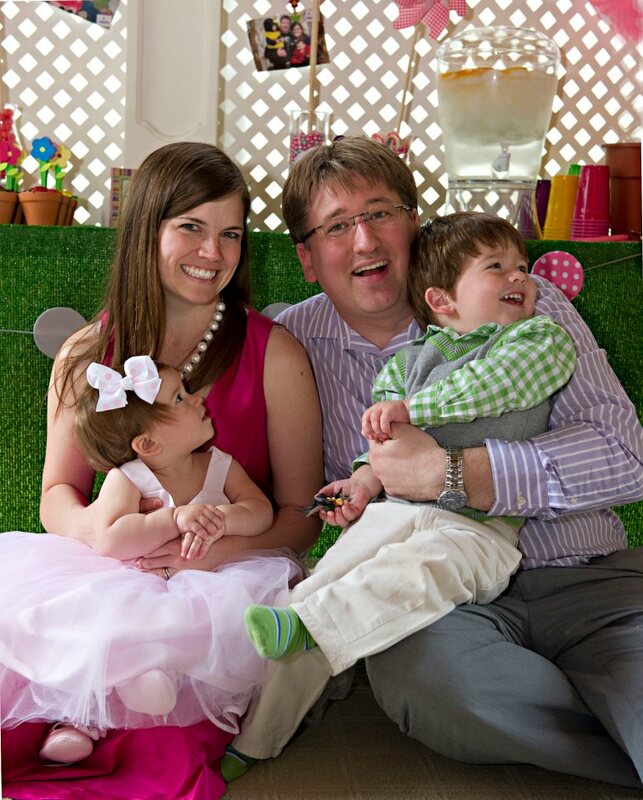 The photo below is courtesy of my pal Amy Clark from MomAdvice. She was so nice to take it for me. Many of the models had their parents or boyfriends there to see them. I didn’t even know I was going to be modeling so none of my family or my husband came. They said they are kicking themselves now, but I am so happy Amy was able to capture this fun moment for me! Thanks, Amy!! In this photo I am modeling, Into the Deep Blue Maxi Dress. It is very comfy and I love the back of it! OH MY STARS, go check it out!! I modeled 3 outfits, which were all super cute, but this was definitely my favorite of all of them!! All the models are GORGEOUS of course, but my favorite part was that they were so nice and helpful. They had obviously done this before and were so sweet to help me out with any questions I had. Allison Hayes from The Big 10 network also modeled and is so super sweet! I loved chatting with her. 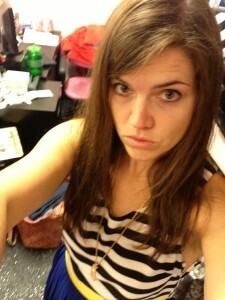 After I got done modeling, I hurried over and tried on a bunch of SUPER CUTE clothes. Oh and all the clothes I wore to the Grand Opening event are from Flourish, well except that jacket which is a million years old. 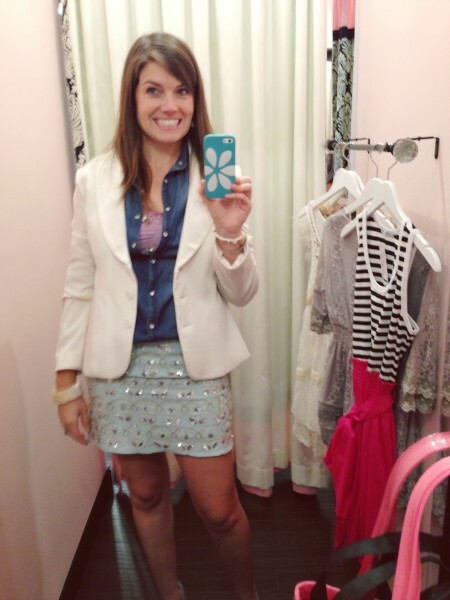 My go to skirt right now is that turquoise sequin skirt. I dress it down by pairing it with a chambray shirt, dress it up with a blazer, and for fun wear both for a fancier casual look like in this photo. Before this post is over how about we take one more glance around the store? Shall we? First of all, Hello cute striped walls and second of all, what an awesome treat section. Flourish is right next door to Gigi’s Cupcakes….dangerous combo, right? So they had Gigi’s cupcakes, veggies and dip, pink candy, and all sorts of treats on this cute table for guests. Just warning you, cute outfit alert up ahead…. Seriously dying over this pleated Maxi skirt!! 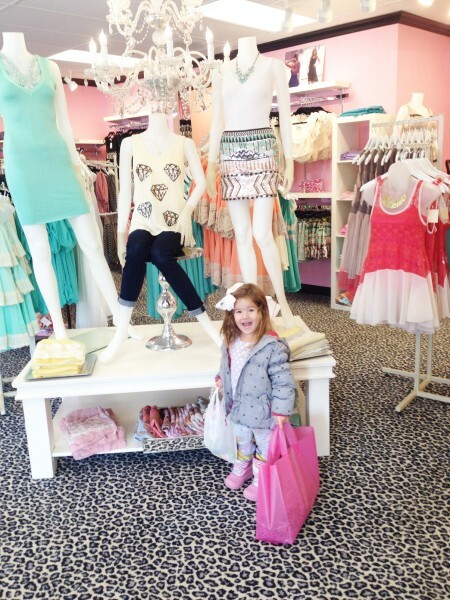 Alright, so how much do you LOVE FLOURISH BOUTIQUE??? 3. Comment below and tell me what you would buy!! 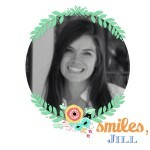 This entry was posted in I'm Loving and tagged Flourish Boutique, I'm loving. I’ve never worn a maxi dress before. Got my very first one at the Grand Opening! I would buy jewelry. They have some really unique statement necklaces! Oh fun! Good for you! I agree, their jewelry is gorgeous!! I love me some Flourish Boutique! I am really digging the maxi dresses they have – and would probably start with the “Keepjng in Contrast” maxi! I’m like everyone else, I love the maxi dress you were modeling! So fun! Thanks Terry!! Yes it is so comfy!! You should get one!! It would be beautiful on you!! I like everything. Might have to stop by and try on the pleated Maxi skirt. Thanks for the great post, Jill! That Pleated Maxi skirt is ADORBS!! LOVE IT too! !